paneer ghee roast recipe with detailed photo and video recipe. ghee roast recipe is a mangalore, udupi delicacy served as starters or with neer dosa recipe. 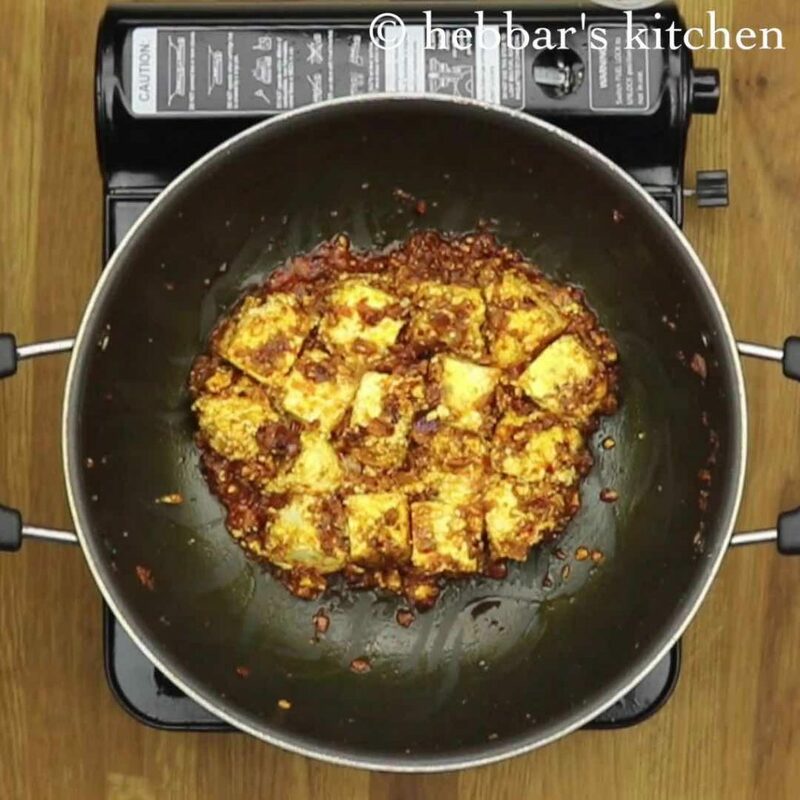 paneer ghee roast recipe with step by step photo and video recipe. 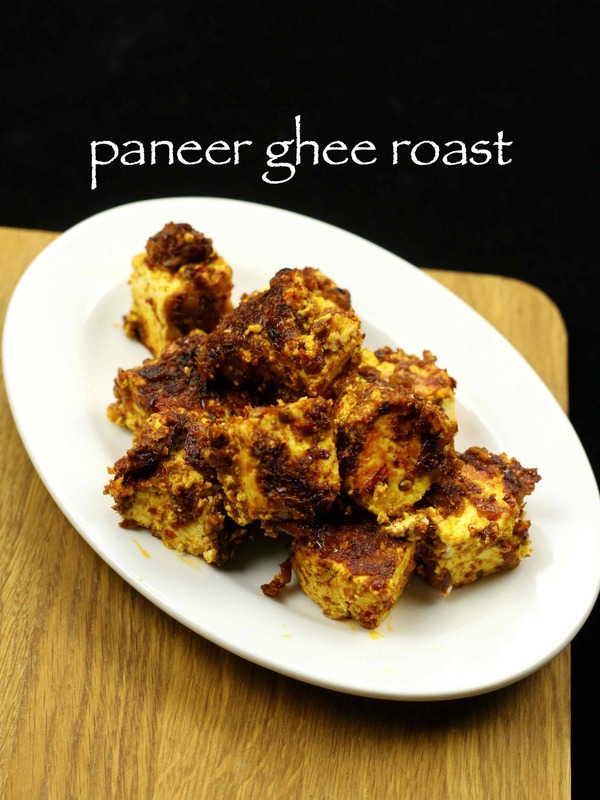 paneer ghee roast recipe is a vegetarian starters adapted from its non vegetarian cousins. perhaps, chicken ghee roast is much more popular recipe served usually with neer dosa recipe. however, for vegetarians, paneer ghee roast or mushroom ghee roast recipe is served as a side dish. ghee roast recipes are very popular recipe of south canara cuisine. it is also a popular street food in mangalore and udupi region. initially, ghee roast recipes were introduced to me by my husband. he is a big fan of ghee roast recipes, especially mushroom ghee roast recipe. i personally like this recipe with neer dosa or with any dosa recipes. however, he enjoys it as starter and a evening snack recipe. 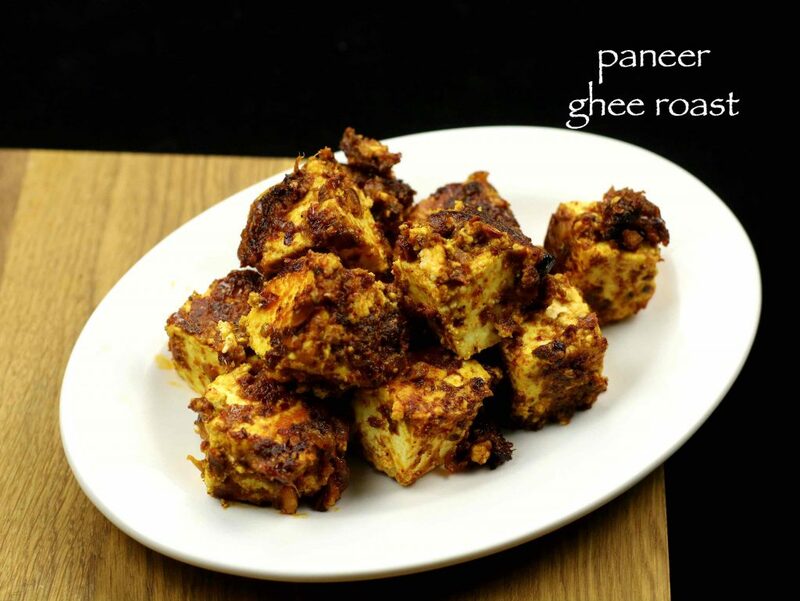 furthermore, we even enjoy this spicy and rich paneer dish with roti and chapathi’s too. furthermore, as the name suggest this recipe is prepared with ghee. 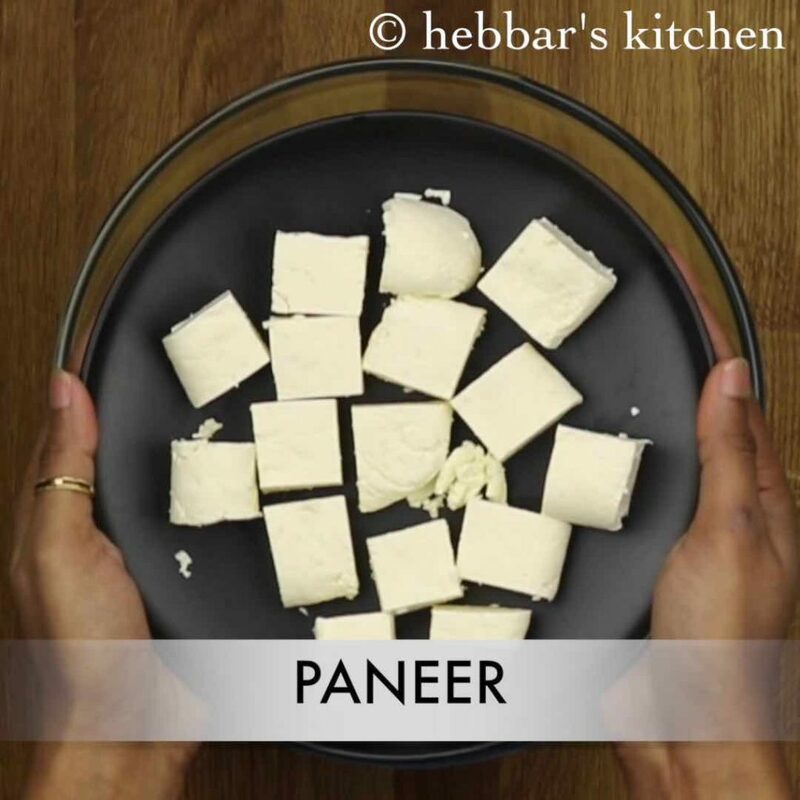 be very generous while adding ghee and roasting the homemade paneer with blended spice mixture. otherwise, you may feel the heat of spice while eating. 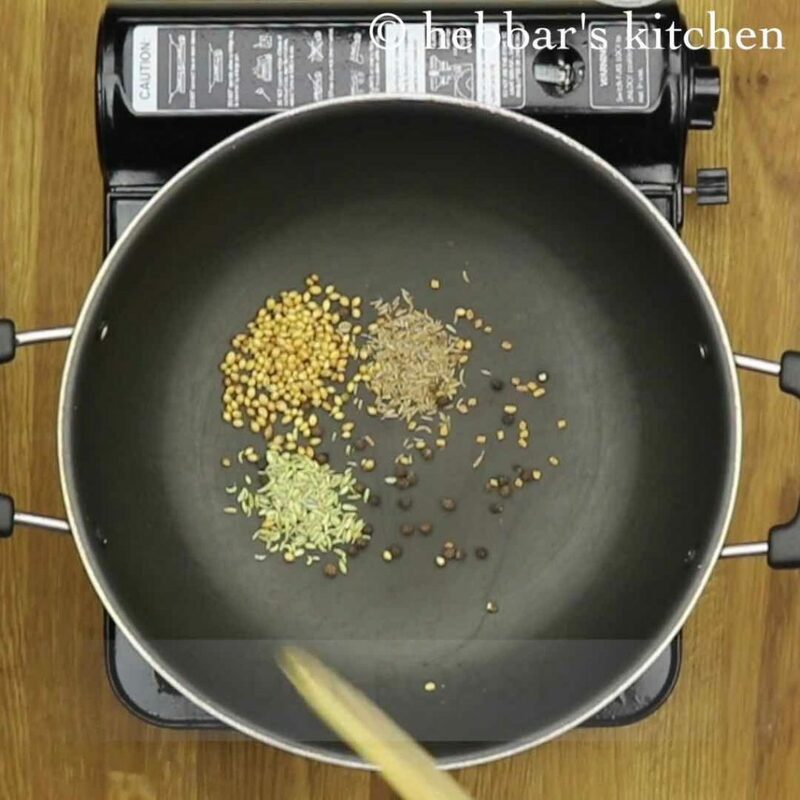 moreover, if you do not like to be spicy, reduce the number of green chillies while grinding. lastly, you can prepare mushroom ghee roast with the same procedure. finally, do check my other snack recipes collection and indian starters recipes collection. particularly, corn cheese balls, stuffed cheese mushroom, idli pakoras and idli manchurian recipe. also, do check my other mangalore cuisine collection and udupi cuisine collection too. 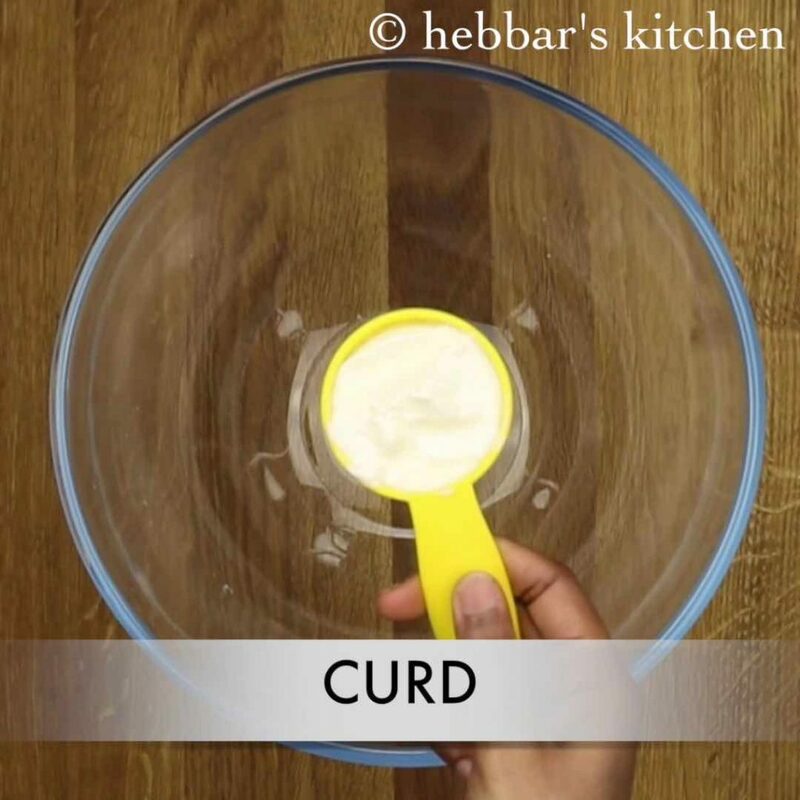 firstly in a large mixing bowl, take curd. furthermore, add salt, turmeric powder and give a good mix. add panner cubes and mix gently. 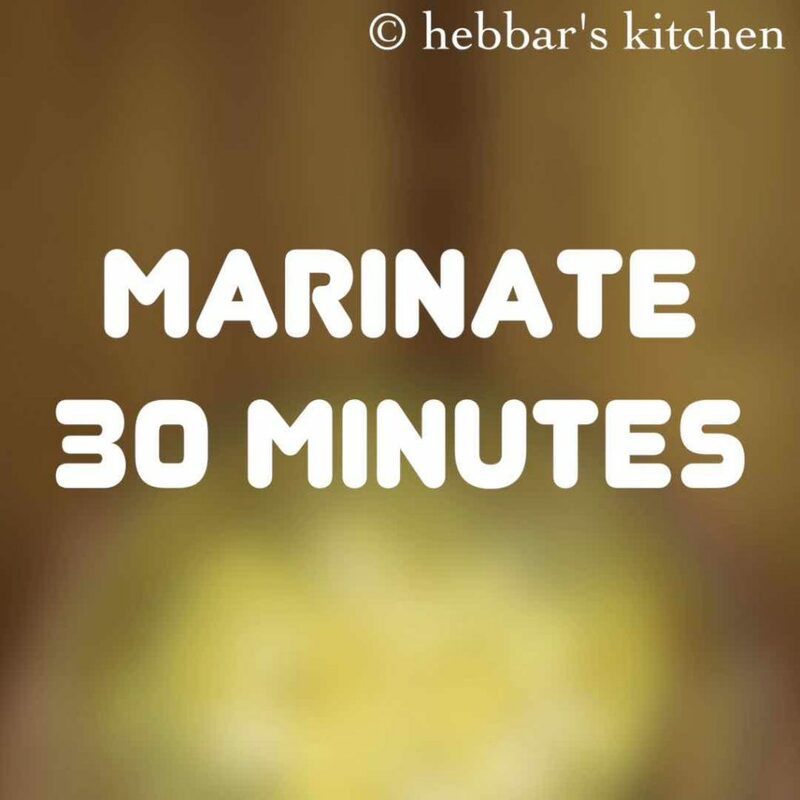 cover and rest for atleast 30 minutes to marinate well. 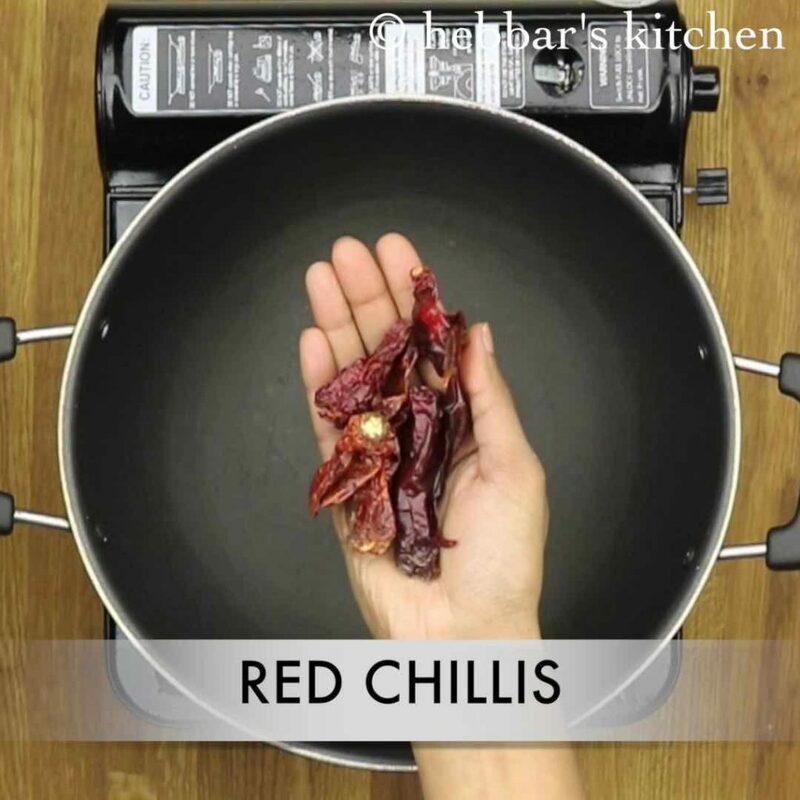 firstly, in a large kadai dry roast red chillis on medium flame. furthermore, dry roast coriander seeds, cumin seeds, methi, black pepper and fennel seeds. roast them till they change its colour and start turning fragrant. 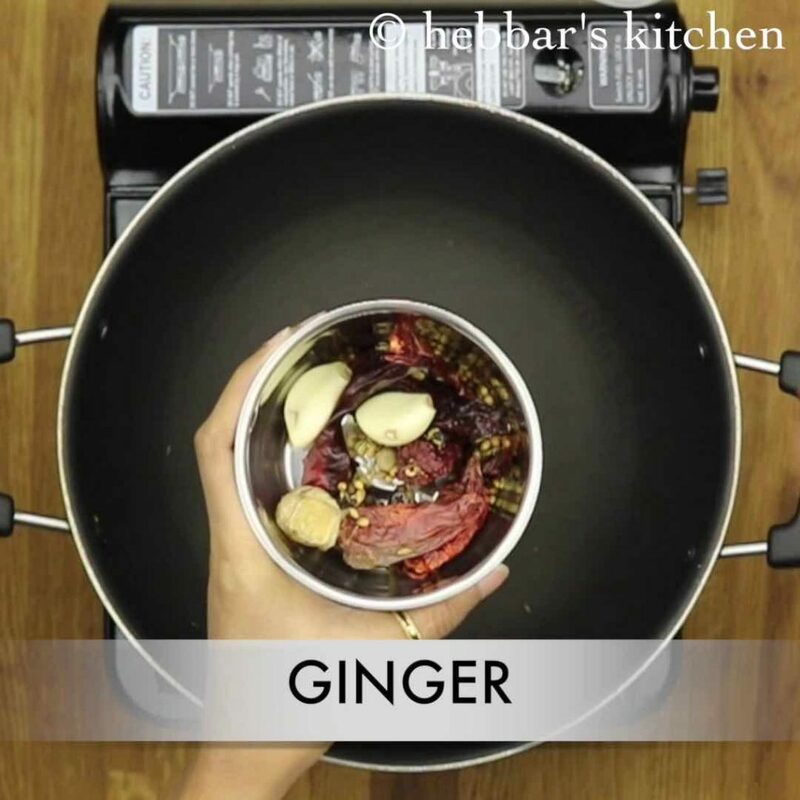 now take all the ingredients into a small blender jar, along with ginger and garlic. additionally, add tamarind juice and blend. 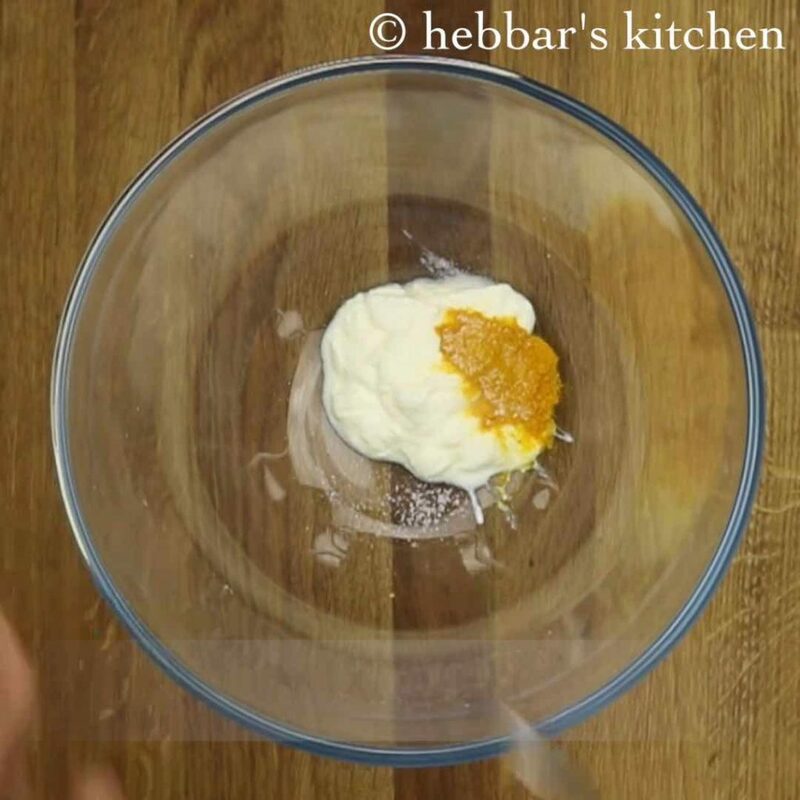 blend to coarse paste, add extra water if required. firstly, in a kadai heat ghee. 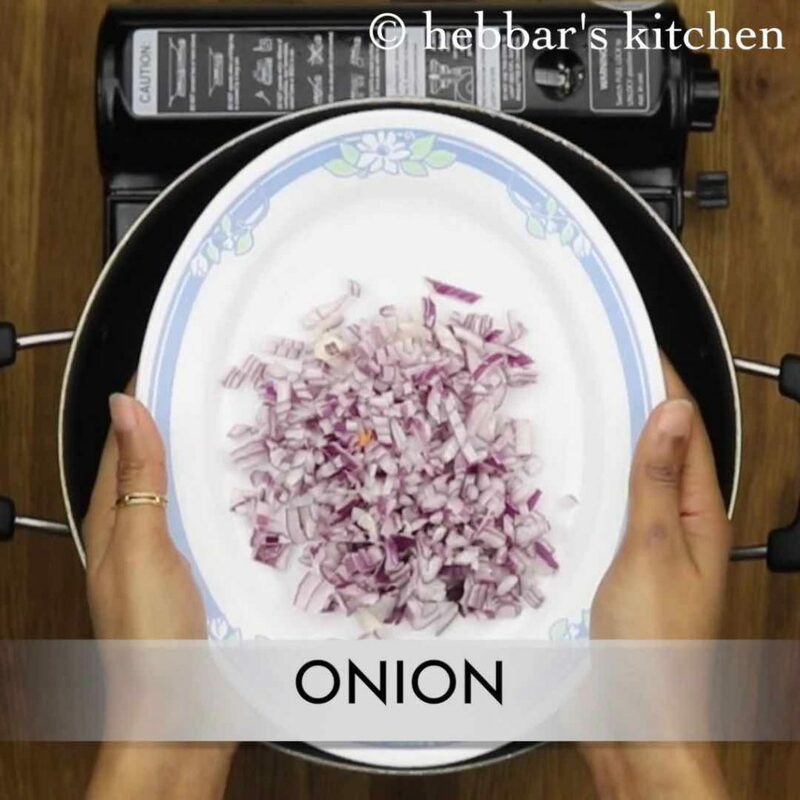 then add finely chopped onions and saute well. 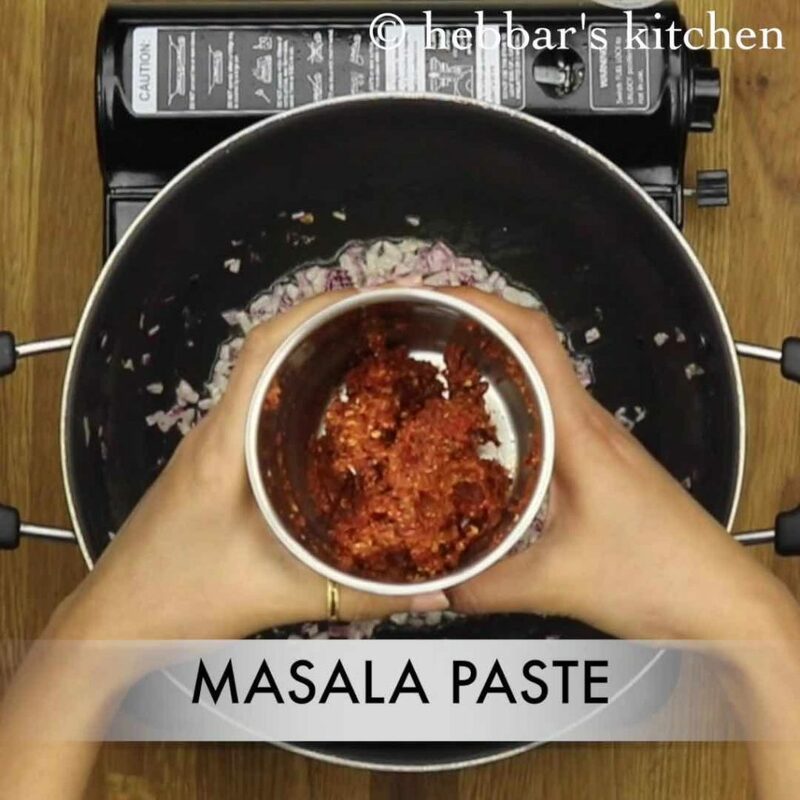 furthermore, add masala paste and saute till they start releasing oil from sides. then add marinated paneer and curry leaves. 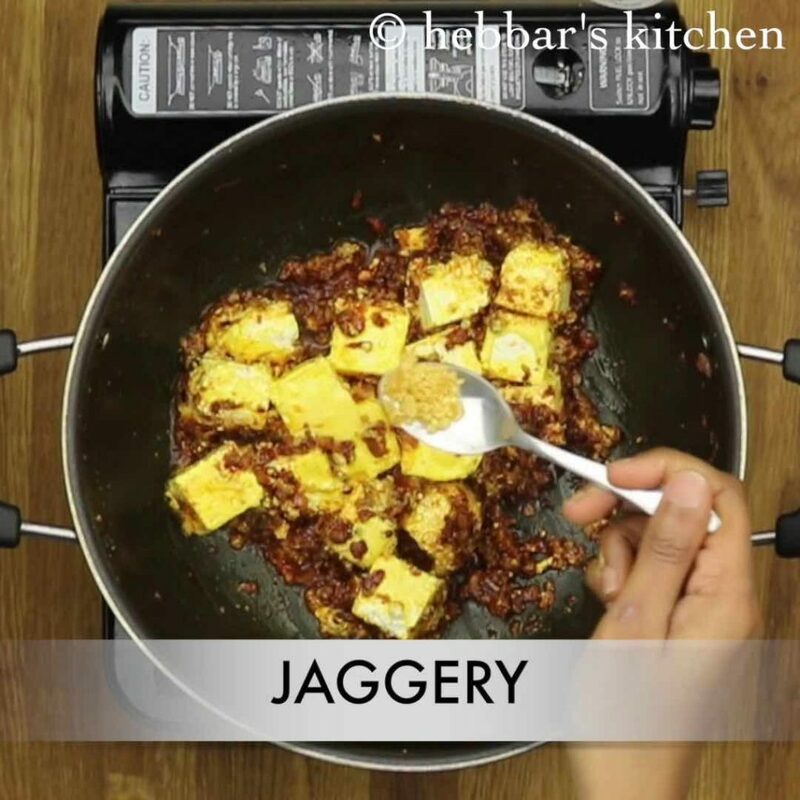 also add salt and jaggery. 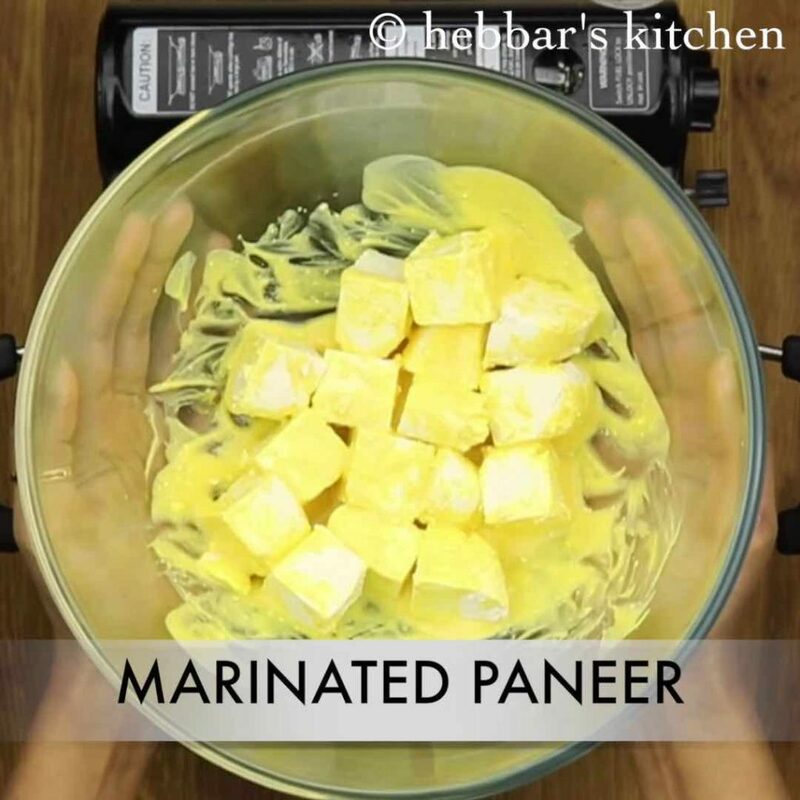 allow to cook for a minute or two, till the paneer absorbs masala. finally, transfer to a serving plate and serve immediately. firstly, in a large kadai dry roast red chillis on medium flame. once they puff up, keep aside. roast them till they change its colour and start turning fragrant. keep aside. additionally, add tamarind juice and blend. 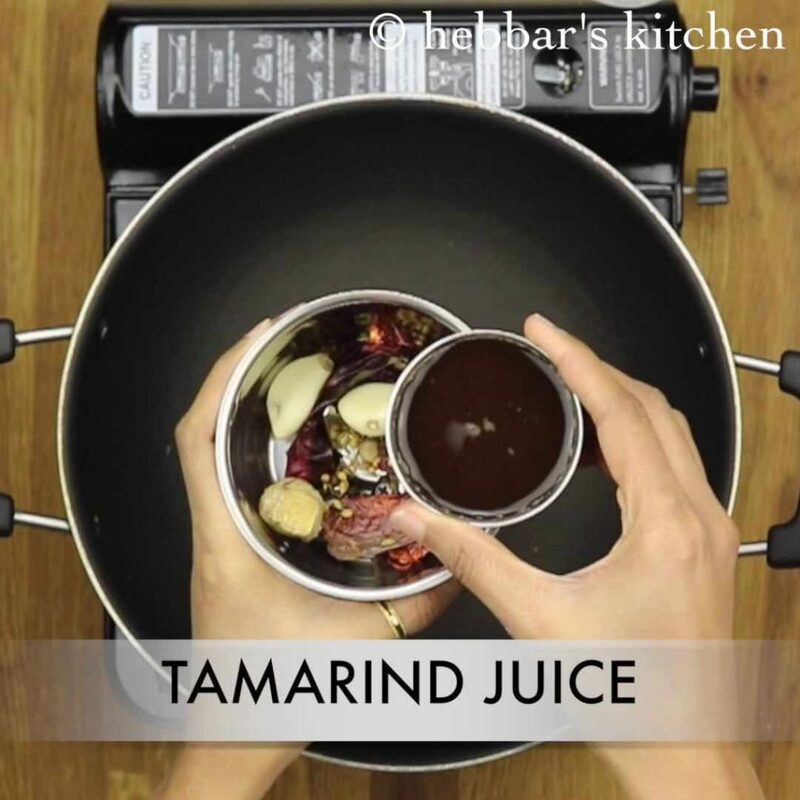 to prepare tamarind juice, soak a small piece of tamarind in ¼ cup of hot water. later squeeze and extract juice from it. blend to coarse paste, add extra water if required. keep aside. firstly, in a kadai heat ghee. 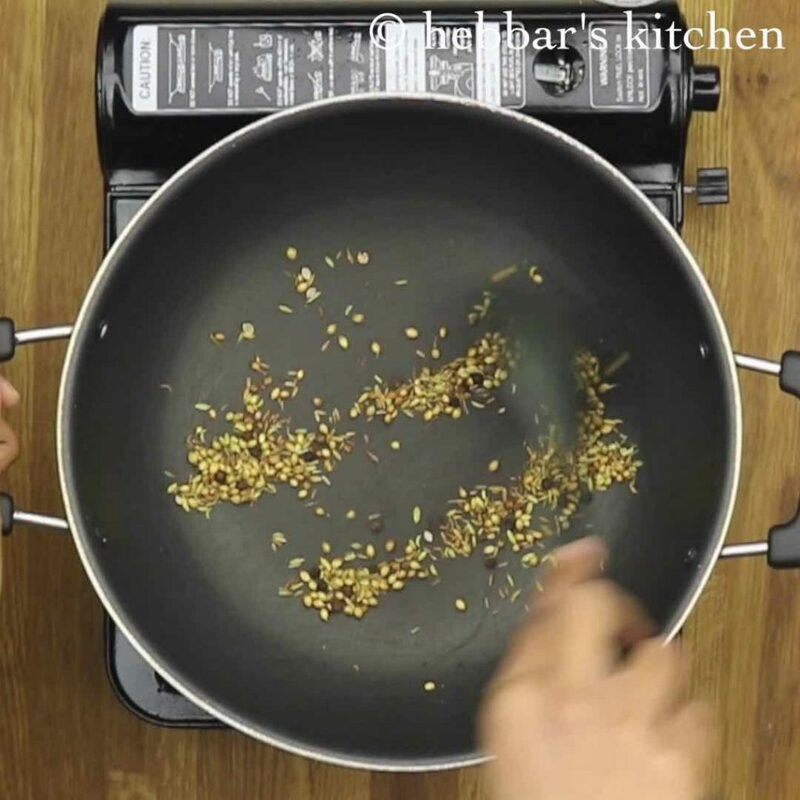 add generous amount of ghee to make it more flavourful. 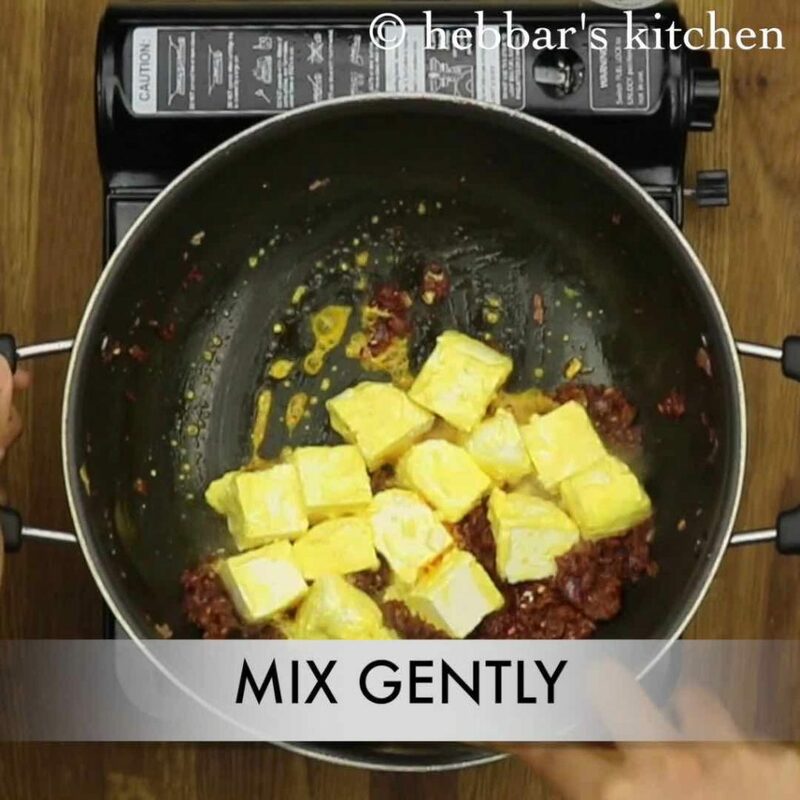 mix gently, without breaking the paneer pieces. 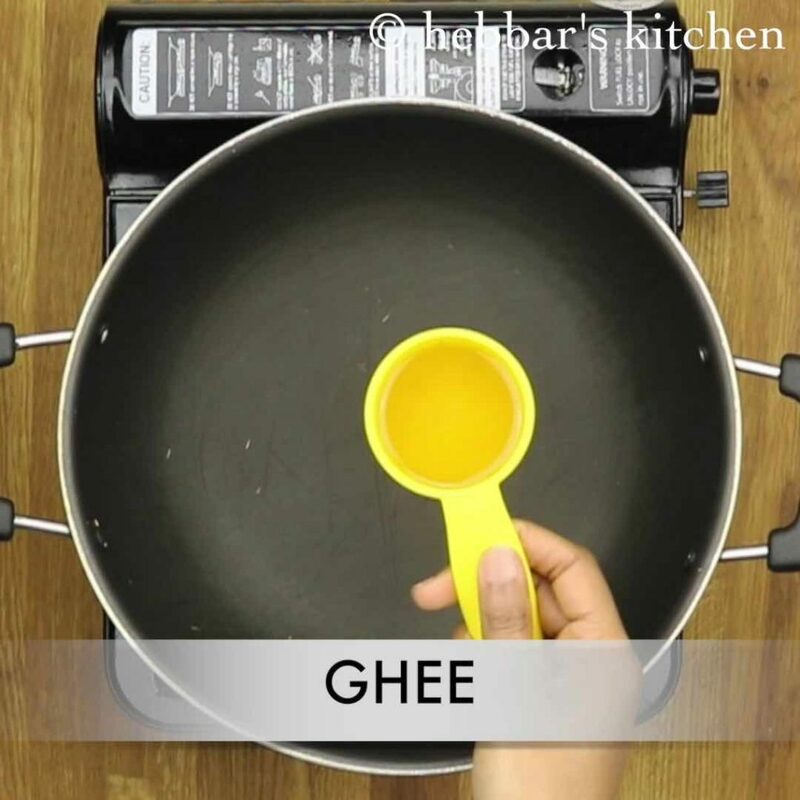 firstly, preparing with generous amount of ghee enhances the flavour. also adjust the spiciness according to your taste buds. 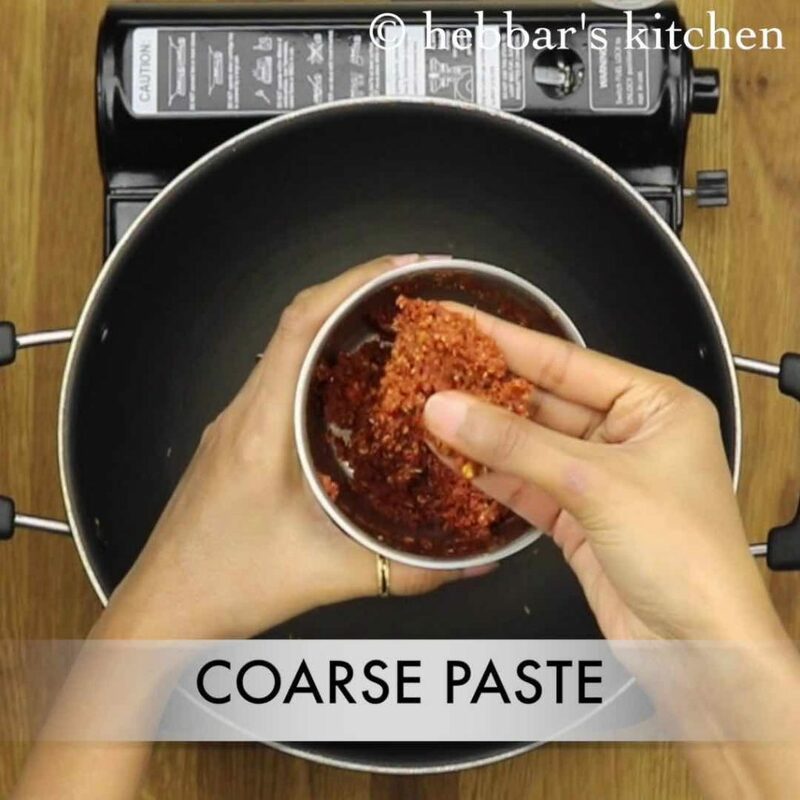 furthermore, using tamarind juice and ghee reduces the spiciness. so do not worry with amount of chillis used. finally, mushroom kadai can also be prepared in a similar way.